Continuing with the analogy, I suggested either iShares or Vanguard were the Evil Empire and fund companies like State Street, Invesco, and Charles Schwab were the rebels, just trying to survive. I may have had that wrong. Enter JP Morgan, who built the original asset management empire (and one some people truly believe is evil because of stuff like this). After years of basically ignoring the ETF market and watching competitors bring in assets at hyper speed, it appears the JP Morgan empire is now striking back. At the beginning of Star Wars – The Empire Strikes Back, the rebels have taken refuge on the ice planet Hoth. 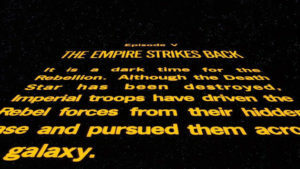 That is, until the Galactic Empire’s Imperial forces find out where they’re hiding and launch a devastating attack. It seems JP Morgan figured out the ETF rebels’ strategy. In recent weeks, three JP Morgan ETFs have surged past $1 billion, including two of the three fastest ETFs to hit that mark – the JPMorgan BetaBuilders Japan ETF (BBJP) and the JPMorgan BetaBuilders Canada ETF (BBCA). The only ETF to reach $1 billion faster was the SPDR Gold Shares (GLD). JP Morgan’s ETF business has grown from $6.2 billion at the beginning of the year to $14.6 billion. Taking a page out of Core Wars, JP Morgan significantly undercut the largest competing ETFs on price with BBJP and BBCA. At 0.19%, JP Morgan’s ETFs are less than half the 0.49% cost of the iShares MSCI Japan ETF (EWJ) and the iShares MSCI Canada ETF (EWC). The third JP Morgan ETF to recently hit $1 billion, the JPMorgan BetaBuilders Europe ETF (BBEU), undercut both the iShares Core MSCI Europe ETF (IEUR) and the Vanguard FTSE Europe ETF (VGK) by a single basis point, 0.09% vs. 0.10%. You can bet that in the not-too-distant future, there will always be a JP Morgan ETF available. I fully expect JP Morgan to launch an entire core lineup of BetaBuilders ETFs. It’s not “if”, but “when”. It also wouldn’t surprise me if JP Morgan becomes the first ETF provider to offer a zero cost ETF. The biggest kicker in all of this? JP Morgan already has financial ties with half of American households and 47+ million people are currently using JP Morgan’s banking app or website. That’s a pretty good launching pad from which to market a low cost ETF lineup. If JP Morgan is finally getting serious about ETFs – and it certainly appears they are – they could be building a new Death Star to obliterate the competition. “Core Wars” was really about the destruction of the old guard fund companies’ original Death Star – expensive, actively managed mutual funds and other pricey proprietary products. The JP Morgan empire is striking back by leveraging a vertically-integrated business model with built-in resources and advantages that many competitors simply don’t possess.